This is a sponsored post written by me on behalf of Seattle’s Best Coffee®. All opinions are 100% mine. 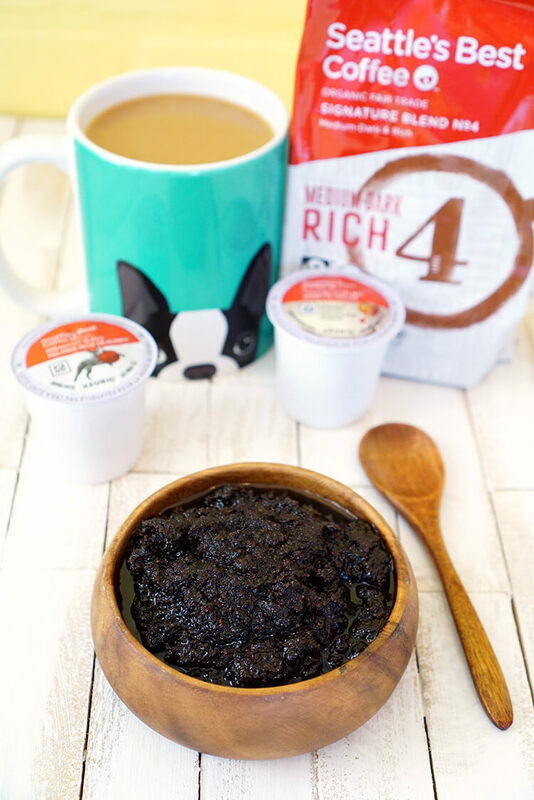 Make your own DIY Energizing Coffee Sugar Scrub in just five minutes, and treat yourself to an invigorating and rejuvenating morning shower! Your silky smooth skin will thank you! For many of us, coffee is the ONLY way to start the morning. There’s nothing like a tall mug of coffee each morning to get the day started on the right foot, but did you know that coffee also has tremendous skin benefits? 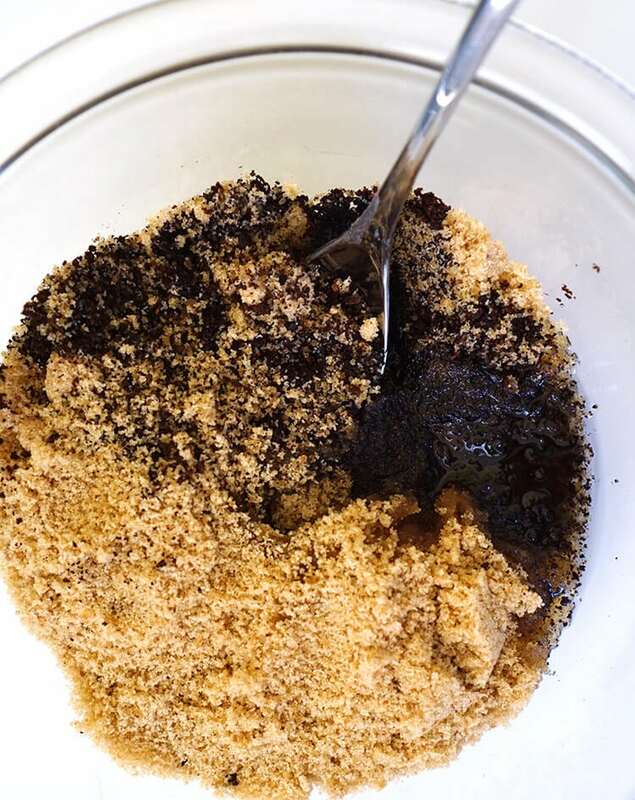 Incorporating your used coffee grounds into a spa-style coffee sugar scrub helps to exfoliate, tighten, brighten, and smooth skin, and it even helps to battle cellulite! 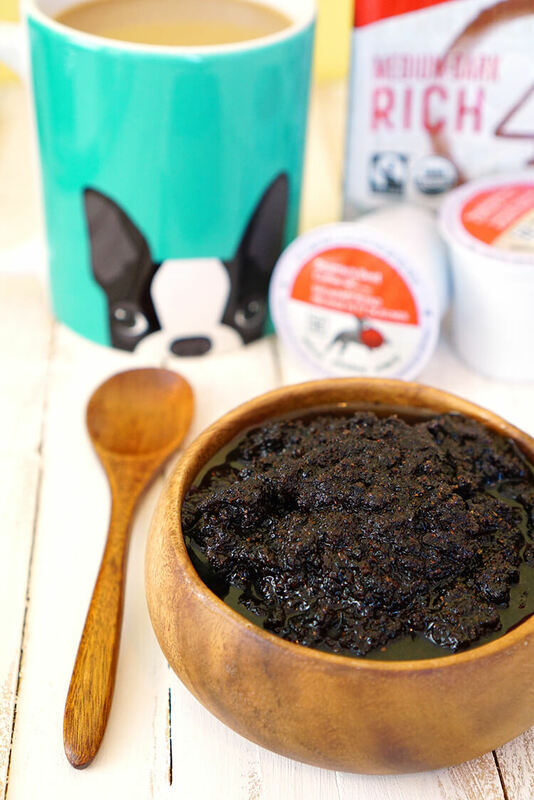 I have been making my own coffee sugar scrub for years, but I just recently switched to the BEST ever coffee – for both my morning beverage and scrub-making! 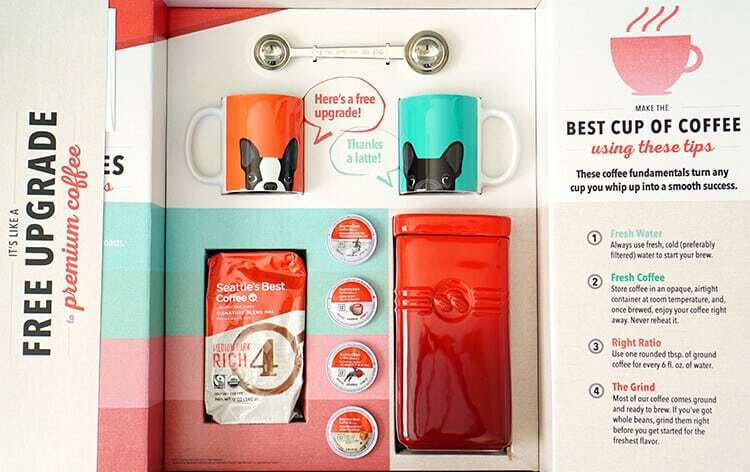 Seattle’s Best Coffee® recently sent me this fun package of goodies (check out those adorable puppy mugs!) and a variety of their coffee to try, and I was really excited to give it a shot! Have you tried it yet? I have to admit that I was a little bit skeptical of trying a new brand of coffee since I’ve been using my regular brand day in and day out for such a long time. I wasn’t exactly head over heels for my regular brand, but I don’t tend to break my daily routines to try new things very often. 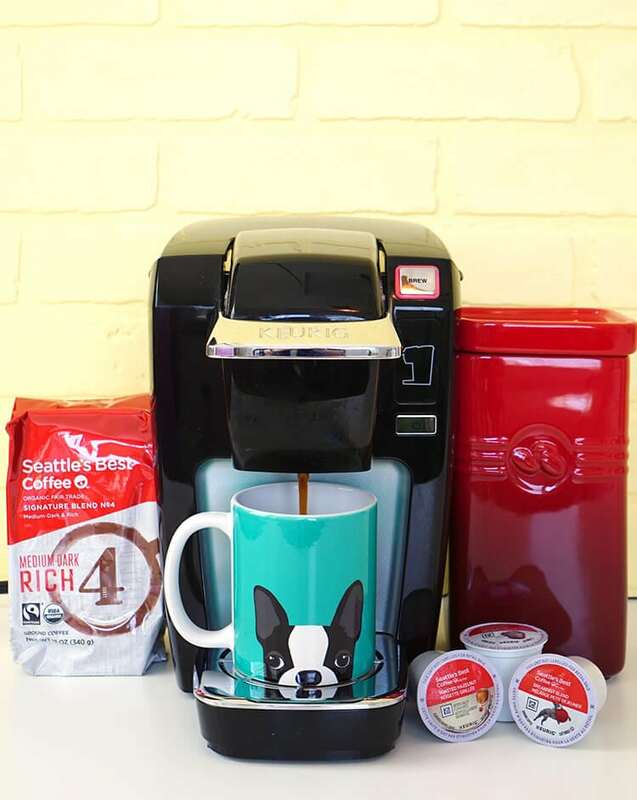 I crossed my fingers that I would like the Seattle’s Best Coffee® and brewed my first cup! After brewing my first cup, I was pleasantly surprised at how rich and delicious Seattle’s Best Coffee® really is! It’s flavorful and velvety smooth, and it definitely tastes way more “fancy and expensive” than it actually is. For the same price as my regular brand, this is totally like getting a free upgrade! I didn’t expect to fall in love with this new coffee, but I did! 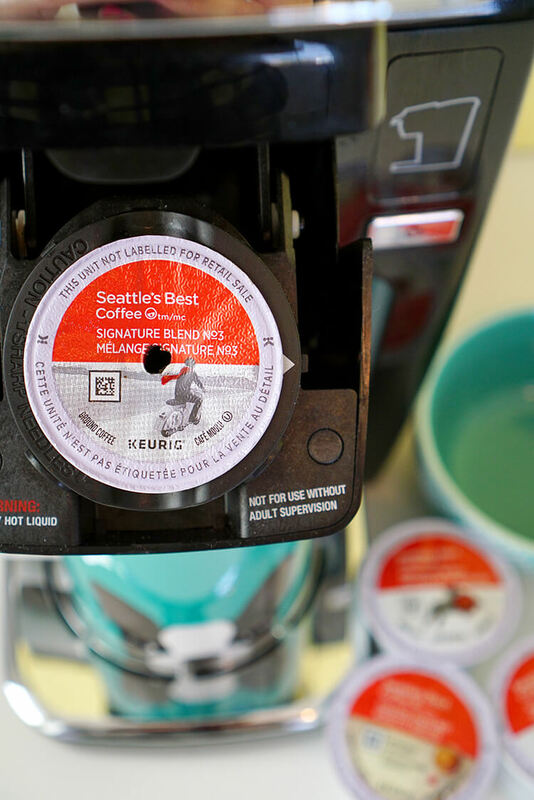 Never again will I settle for average coffee when I can get so much more for the same price – Seattle’s Best Coffee® is my new everyday coffee! I’ve been thoroughly enjoying Seattle’s Best Coffee® each morning, but it wasn’t long before I quickly started amassing a collection of used K-Cups. My boys love to create craft projects out of recycled K-Cup containers, but I didn’t want the coffee grounds to go to waste either. So, what did I do with all of that leftover finely ground coffee? 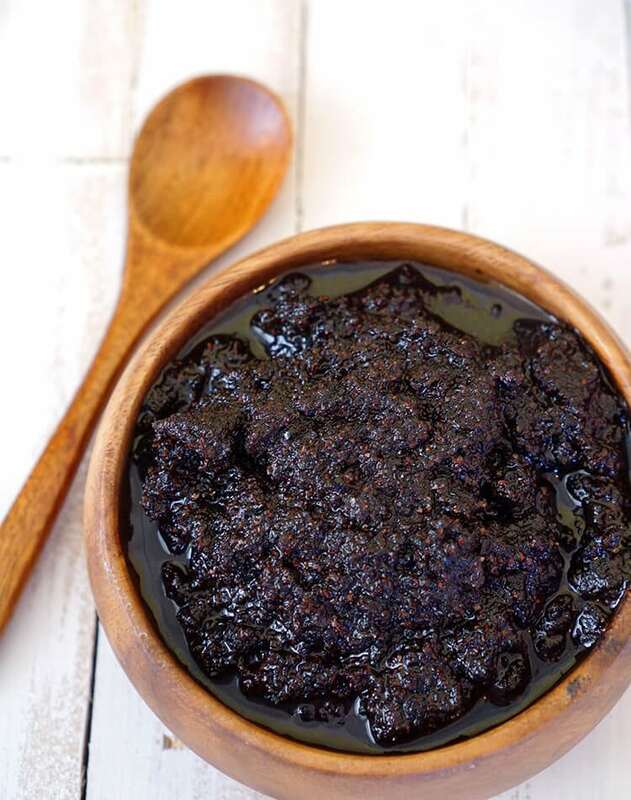 Make a luxurious and energizing sugar scrub, of course! 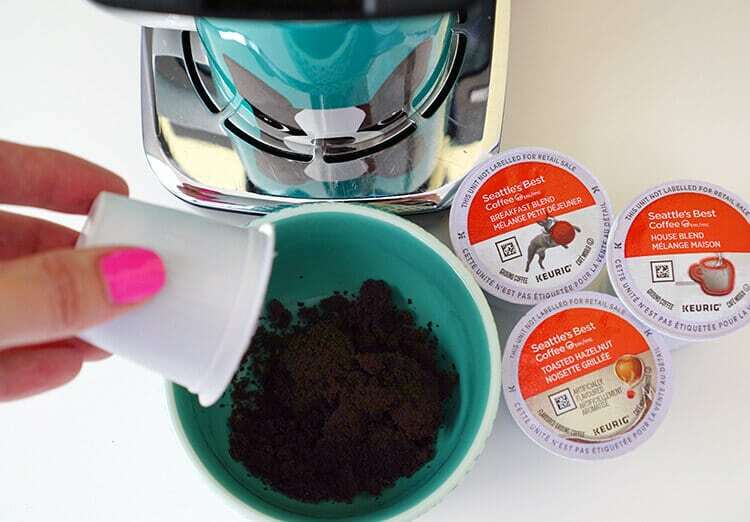 Ater brewing my coffee, I open up the top of the K-Cup and empty the coffee grounds into a small bowl, and I continue to add to the bowl each morning until I have accumulated approximately 1/3 cup of coffee grounds (about 3-4 K-Cups worth). Mix together 1/3 cup coffee grounds, 3/4 cup brown sugar, and 1/4 cup melted coconut oil until well blended. I prefer for my coffee scrub to have a decent amount of liquid in it to help maintain a nice “scrubbable” consistency. If you prefer a drier scrub, however, you may reduce the coconut oil to 2-3 tbsp. 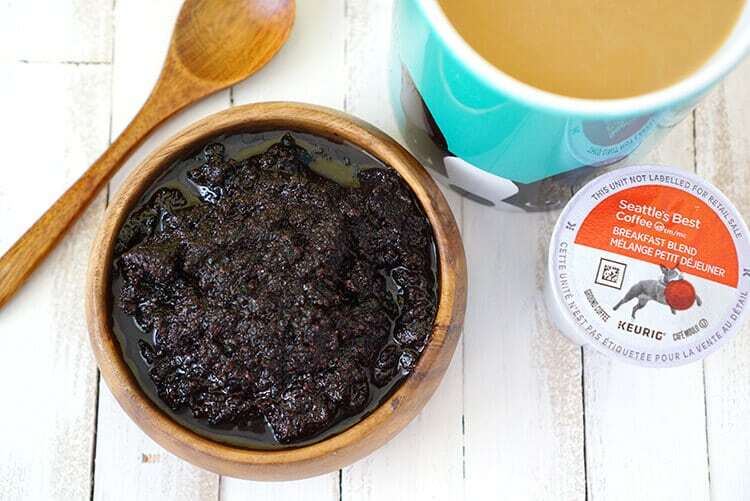 This energizing coffee sugar scrub is the perfect way to start your day (along with a hot cup of Seattle’s Best Coffee®, of course!)! While in the shower, apply the scrub to wet skin using a circular motion to exfoliate and moisturize your skin. The caffeine from the coffee grounds will also be absorbed through your skin (don’t worry about overdoing it, though – the amount absorbed is less than the amount in one cup of coffee), leaving you feeling refreshed, awake, and ready to tackle your day! 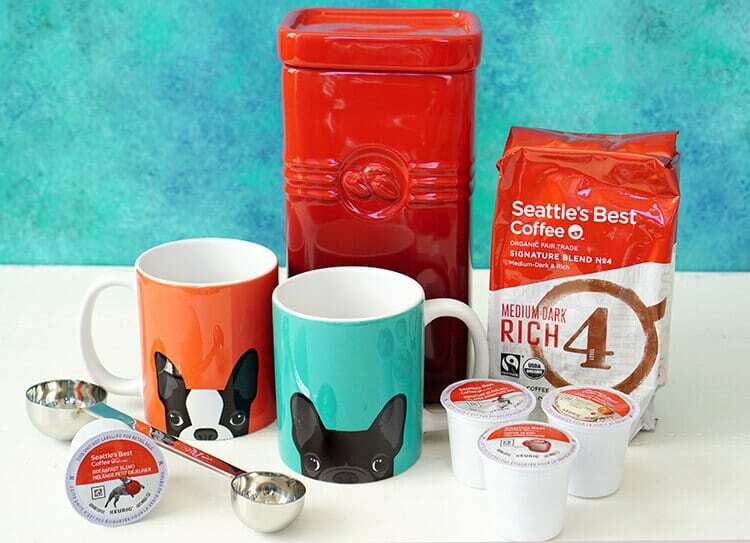 Seattle’s Best Coffee® is the perfect combination of amazing taste and exceptional value, and it’s been a wonderful way to wake up in the morning! Coffee lover here! This sounds heavenly! I can’t wait to try it! I can use any and all help waking up in the mornings! how long do the scrubs made with sugar last? I have heard that the oils will become ranccid. In comparison, salt is a preservative and will not go rancid. Any thoughts? Scrubs generally have a shelf life of 2 weeks to 3 months depending on the additives included. You are welcome to use salt instead of sugar; however, salt tends to be harder on the skin as it is both drying and will sting if applied to any small scrapes and scratches on the skin. It does work just as well for exfoliation purposes, though! I made this last night! It was very liquid-y, so I added more sugar and put it in the fridge. Apparently putting it in the fridge helped a LOT and its mostly solid now. 🙂 Doesn’t have a strong scent but I added a little vanilla which gave it more of a coffee aroma. 😀 Speaking of which, do you have any recommendations for more sugar scrubs? I love yours but I want to try more!!! I do not add any additives to my scrubs, so I can’t tell you exact quantities required, but Vitamin E oil, essential oils, and salt can all help to increase the shelf life.